Ozone therapy is currently one of the most talked about alternative treatments among the chronic illness community worldwide and with good reason. This amazing gas found naturally in our atmosphere is mixed with oxygen in a medical ozone generator to create a substance with some of the most powerful healing capabilities available today. But you may ask, can ozone therapy help me? What conditions are suitable to treat with ozone therapy and what effect does it have on my body? Ozone therapy has been used by practitioners and researched by scientists for over a century, but what do these studies conclude? 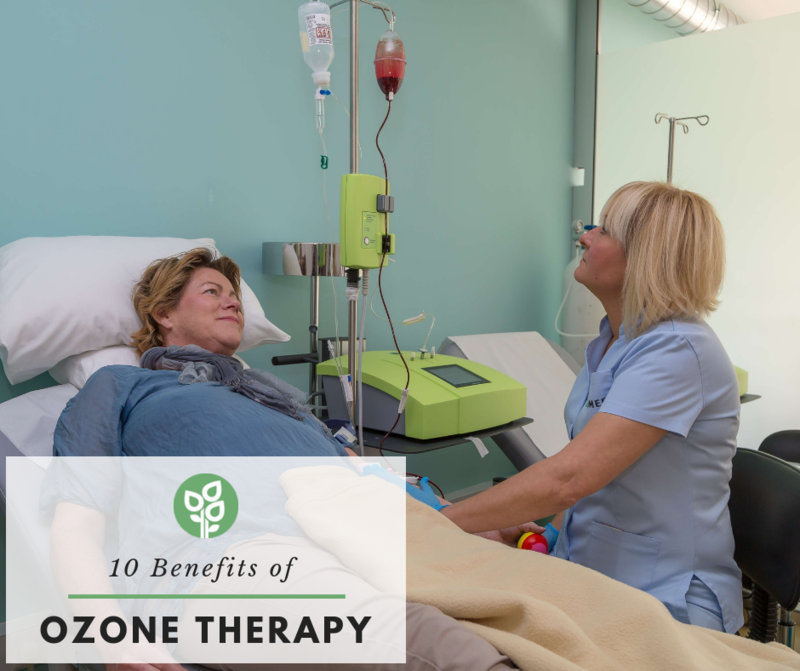 With all of these common questions in mind we have created a list of what we believe the top ten benefits of ozone therapy are and included links to studies on these subjects for you to look at the research for yourself. Asthma is a chronic inflammatory disease, and inflammatory markers are often seen in the blood of asthmatics which can lead to oxidative stress. A study in 2005 found that regular ozone therapy was effective at reducing these markers of inflammation, regulating oxidative stress and as an immunomodulator (ozone therapy is able to modify the immune system to cope better with inflammation). Also In 1995, a literary review concluded that ozone therapy can have “profound effects on systemic immunity”. With a potential antibiotic apocalypse not far away, scientists have been looking for novel ways of dealing with bacterial infections, as well as new treatments for fungal and viral infections. Enter, ozone therapy. There have been many studies into its infection control properties. One was in no doubt about this potential use – it found ozone therapy could “fully resolve” an acute bacterial infection caused by a tick bite, within 24-48 hours. This is welcome news for the growing number of Lyme Disease and other tick associated illness sufferers around the world who do not respond to antibiotic treatment. Ozone therapy is also now available for treating viral infections such as flu, which is great news for anyone who regularly finds themselves susceptible to winter bugs. After a stroke, the affected area of the brain begins to lose it’s crucial oxygen supply, causing hypoxia of the surrounding brain cells. This area of damage is known as the penumbra. The best course of action is to restore oxygen to the penumbra as soon as possible to reduce damage. A 2012 study found that supplying a mix of oxygen and ozone gases to hypoxic brain tissue appeared to revert the damage. The authors of the study concluded that they support the use of oxygen-ozone gas in “well designed clinical trials in stroke patients”. There’s also evidence that ozone therapy helps reduce the risk of a repeat heart attack and the development of an infarction (tissue death due to lack of oxygen) or arrhythmia (an abnormal or irregular heartbeat) after a heart attack. One study, in 2017, found that the sooner ozone therapy is given after a heart attack, and the longer it is given for, the better the results. Exciting news emerged from a very recent study in September 2018, that therapeutic ozone therapy is “making strides” in the successful management and treatment of musculoskeletal disorders. These disorders include rheumatoid arthritis, carpal tunnel syndrome and bursitis, that all appear to respond well to increasing the level of oxygen in the body by introducing ozone. Many chronic inflammatory diseases can benefit from ozone therapy. A 2014 paper found that therapeutic ozone therapy has fantastic potential. Chronic inflammation can cause oxidative damage to cells and DNA. Ozone is a powerful antioxidant that helps reduce this oxidative damage and the subsequent risk of disease. Ozone has also been found to increase the activity of enzymes in the body that act as antioxidants, leading researchers in another 2014 paper to conclude that ozone therapy is a useful option for the treatment of inflammation. Studies have shown that ozone therapy can also help promote wound healing. One study discovered the benefits of ozone therapy in the treatment of ulcerous wounds on the feet of diabetic patients. Another found it was equally effective in the management and reduction of painful mouth ulcers. As in the case of strokes above, hypoxia, when tissues don’t get enough oxygen, can lead to tissue death. Hypoxia can occur in other organs, such as the lungs after an severe asthma attack, and throughout the whole bloodstream if you have anaemia. Ozone therapy provides the body with more readily available oxygen and there is some evidence that it can also help in the treatment of certain hypoxic tumours, alongside chemo- and radiotherapy. Back pain can be debilitating, and is one of the most common reasons we visit our doctors and take time off sick from work. The good news is, that researchers have found that ozone therapy can be very beneficial for lower back pain! Our stem cells are continually working to produce new cells, be they heart, brain, blood, nerve, skin or any other cell. Without stem cells, we wouldn’t survive. The more ready our stem cells are to reactivate into new cells, the better. There’s now evidence to suggest that ozone therapy could improve this readiness to reactivate, thus leading to better cellular repair. As you can see ozone therapy can help individuals who suffer from a whole host of conditions and our list above is just a snapshot of what we already know about this valuable healing modality. Could ozone therapy be the answer you’re looking for? If so use the form below to find out more about our range of ozone treatments here at Neomed in Cyprus which includes the renowned Ten Pass Ozone, Rectal Insufflation, Ozone Injections, Ozone Infusions and Ozone Sauna. If you would like a free telephone or video consult to discuss your needs we would be happy to arrange this. Do you suffer with a chronic illness?